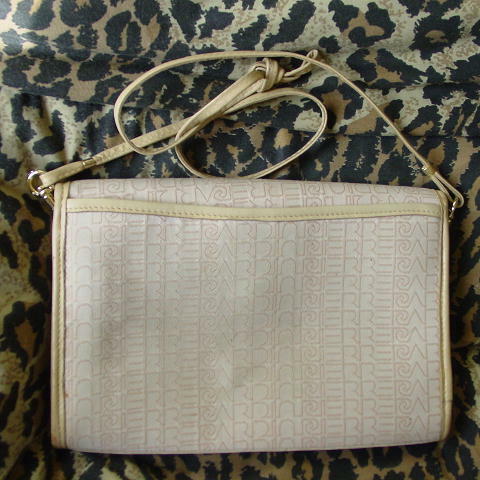 This vintage fabric purse is by Pierre Cardin. It's in a dark bone with a touch of cement background with Pierre Cardin in elevated letters in a pale light cocoa color all over the exterior. It's edged in a cement-light maize edging with the same color used for the 34" by 1/4" detachable shoulder strap. 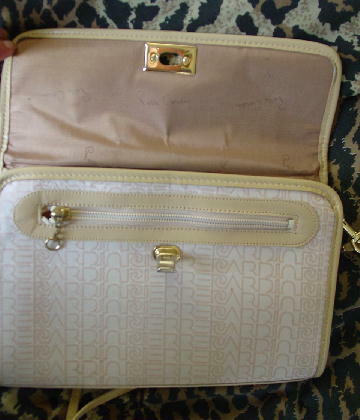 The back has a 7/8 open compartment with a golden brown fabric lining with Pierre Cardin written in light brown letters. There is an envelope styling with a gold-tone lever closure. Under the front flap is a lined zippered section. The interior has the same logo lining and an interior large zippered lined (medium golden brown) pocket. 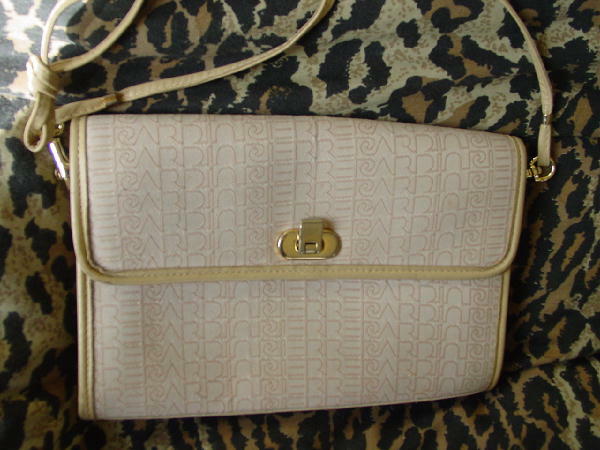 You can detach the shoulder strap and carry the purse as a clutch. The fabric has some darker areas, especially on the back. The edging at the corners have some darkening and color missing, and the gold-tone finish is missing in certain spots on the hook attachments on the straps.